Right now is a great time to be a rental investor. More and more people are renting long-term and willing to pay for a quality rental. But some investment properties are easier to rent out than others. Homes that meet certain criteria bring a better return compared to houses that lack particular features. Tenants are picky. The type of home you invest in makes all the difference. You want a house that attracts qualified tenants – a home that tenants can envision living in. When tenants are happy with their living conditions, they stay longer which means less tenant turnover and fewer vacancy periods. What features should you look for when purchasing a rental investment? 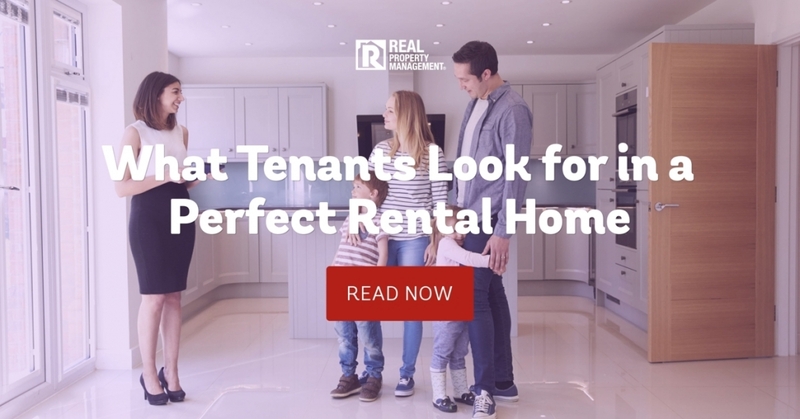 The rental property management Sacramento team at Real Property Management SAC-METRO knows what makes a successful rental property. Storage and Closet Space – Storage space is an important feature of a home. More storage areas increase the value of a house. A sufficient amount of closet space in each bedroom is a necessity too. The ideal rental home would have ample storage space and plenty of room to organize items. This includes a formal pantry, walk-in master closet, linen closets, laundry room, mudroom, and cabinetry in the garage. Location – Location plays a critical role in how you go about rental property management. Sacramento investors see more headaches and hassles with rental properties in a neighborhood with high crime rates, increased vacancies, and depreciating home values. Our Sacramento property management services help you locate the best areas for a rental investment. You need to consider factors such as the quality of schools, proximity to local shopping and amenities, and closeness of public transportation and large interstates. There are ways to make the most of a rental property even when it is less than ideal. If your rental property does not exhibit every perfect feature, do not discount its ability to bring a good return. What can you do when you cannot afford to replace the floors? Find a home improvement you can afford. A fresh coat of paint on the walls or new window blinds will transform a room. A new front door sets the tone for the entire home before you even walk in. Updated appliances make a kitchen come to life. What can you do with a poor floor plan or an overly customized home? There are several ways to alter an existing floor plan. Knock out a non-load bearing wall. Add on a great room. Expose a ceiling by tearing down ceiling drywall. But if you do not want to dive into major renovations, there are other ways to give a room a different appearance. Install new light fixtures. Paint it a color that makes the room look open. Dependable property management in Sacramento is available. You can trust the rental property management Sacramento team at Real Property Management SAC-METRO. With more than 30 years of experience, our experts understand the rental industry and know how to increase your bottom line. We work hard to provide the best Sacramento property management services because we want to see you succeed. Whether you are new to rental investing or a seasoned landlord, we can help you improve your cash flow and get a better return on your property. Learn more about our hassle-free leasing cycle and proven processes. Put our team to work for you. Call Real Property Management SAC-METRO today.